We thought we'd call this special month to your attention one last time: June is officially dubbed "Adopt a Shelter Cat Month", and the ASPCA, Petfinder and lots of other animal welfare organizations have teamed up to shine the spotlight on adoptable cats everywhere. But here's the real dilemma: what if you just can't take in another kitty? There's still plenty you can do to help cats get adopted in your neck of the woods. Why not sweet talk a friend into adopting a kitty? 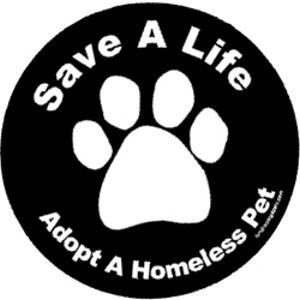 Or spend an hour or two helping out at your local shelter, or bring icat food or bedding or toys to a shelter in need? 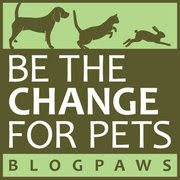 You could also give social media shout-outs to a few adoptable cats each week. It's horrible to think about, but the statistics are grim: two of every three cats who enter a shelter are euthanized for lack of a home. So please spread he good word any way you can, not just during the month of June, but every month! 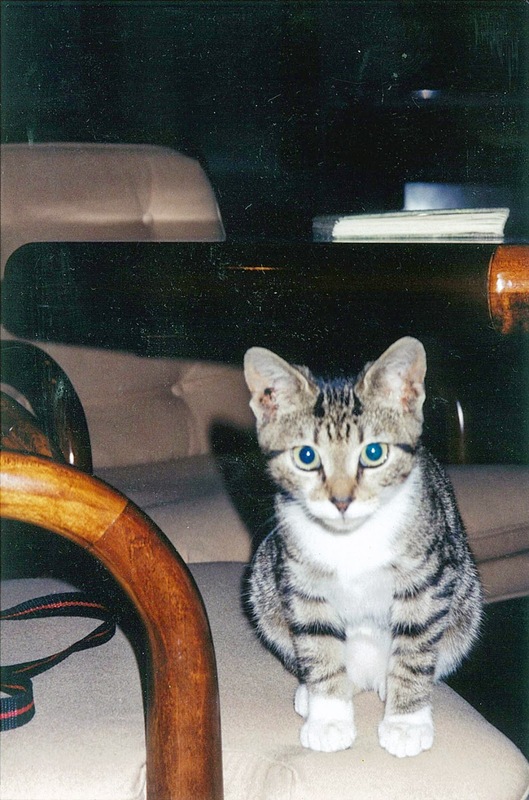 And let's not forget the strays...Parental Unit found me on the street when I was a tiny two month old kitty. Am I an adorable little girl, or what? And Parental Unit thinks I still haven't lost my kittenishness in 10 years! 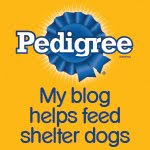 Thanks so much for all you do to help animals in need. Oops!! We already gots one in May-- Crockett! Hope that counts, too....cuz he is more than enuff kitten in dis house, whut wiff da udder 2 cats, Travis and Maurice! !